Swallowtail butterflies frolic on the wind. Vireos and rock wrens sing their hearts out by the recovering creek. Spiders and other predators chase their next meal. Through it all, John Alcock observes, records, and delights in what he sees. In a once-burnt area, life resurges. Plants whose seeds and roots withstood an intense fire become habitat for the returning creatures of the wild. After the Wildfire describes the remarkable recovery of wildlife in the Mazatzal Mountains in central Arizona. It is the rare observer who has the dedication to revisit the site of a wildfire, especially over many years and seasons. But naturalist John Alcock returned again and again to the Mazatzals, where the disastrous Willow fire of 2004 burned 187 square miles. Documenting the fire’s aftermath over a decade, Alcock thrills at the renewal of the once-blackened region. Walking the South Fork of Deer Creek in all seasons as the years passed, he was rewarded by the sight of exuberant plant life that in turn fostered an equally satisfying return of animals ranging from small insects to large mammals. 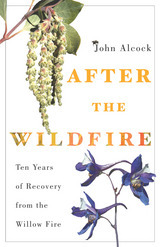 Alcock clearly explains the response of chaparral plants to fire and the creatures that reinhabit these plants as they come back from a ferocious blaze: the great spreadwing damselfly, the western meadowlark, the elk, and birds and bugs of rich and colorful varieties. This book is at once a journey of biological discovery and a celebration of the ability of living things to reoccupy a devastated location. Alcock encourages others to engage the natural world—even one that has burnt to the ground. 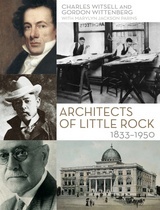 Architects of Little Rock provides biographical and historical sketches of the architects working in Little Rock from 1830 to 1950. Thirty-five architects are profiled, including George R. Mann, Thomas Harding, Charles L. Thompson, Max. F. Mayer, Edwin B. Cromwell, George H. Wittenberg, Lawson L. Delony, and others. 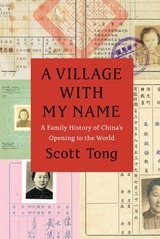 Readers will learn who these influential professionals were, where they came from, where they were educated, how they lived, what their families were like, how they participated in the life of the city, and what their buildings contributed to the city. Famous buildings, including the Historic Arkansas Museum, the Old State House, the Arkansas State Capitol, St. Andrews Cathedral, Little Rock City Hall, the Pulaski County Court House, Little Rock Central High School, and Robinson Auditorium are showcased, bringing attention to and encouraging appreciation of the city’s historic buildings. 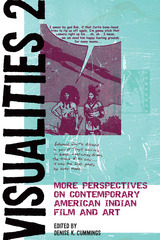 Published in collaboration with the Fay Jones School of Architecture. 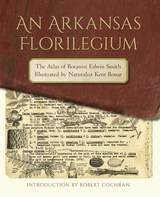 An Arkansas Florilegium is a late-flowering extension of the work initiated sixty years ago with University of Arkansas botanist Edwin B. Smith’s first entries in his pioneering Atlas and Annotated List of the Vascular Plants of Arkansas. Soon after this seminal survey of the state’s flora was published in 1978, Kent Bonar, a Missouri-born Thoreau acolyte employed as a naturalist by the Arkansas Park Service, began lugging the volume along on hikes through the woods surrounding his Newton County home, entering hundreds upon hundreds of meticulous illustrations into Smith’s work. Thirty-five years later, with Smith retired and Bonar long gone from the park service but still drawing, Bonar’s weathered and battered copy of the atlas was seized by a diverse cadre of amateur admirers motivated by fears of its damage or loss. Their fears were certainly justified; after all, the pages were now jammed to the margins with some 3,500 drawings, and the volume had already survived one accidental dunking in an Ozark stream. An Arkansas Florilegium brings Smith’s and Bonar’s knowledge and lifelong diligence to the world in this unique mix of art, science, and Arkansas saga. 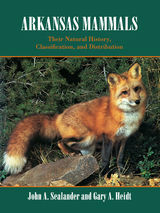 Heavily illustrated with color photographs, Arkansas Mammals is the comprehensive guide to the state’s mammal population. Endangered or threatened species of mammals and missing species known to have been present in recent times are discussed, along with non-native species that have become an important part of the mammal fauna in Arkansas and adjacent states. Art in Red Wing was first published in 1946. 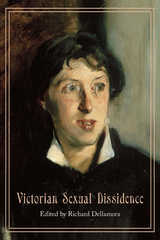 Minnesota Archive Editions uses digital technology to make long-unavailable books once again accessible, and are published unaltered from the original University of Minnesota Press editions.What happens to the American small community in periods of war and challenge, change and uncertainty? In an age of planning, why not look at the community basis for planning?With these two questions as a basis, the University of Minnesota, in 1943, began one of the most exhaustive studies of an American community undertaken in recent times. Red Wing, Minnesota, on the banks of the Mississippi River in Goodhue County was chosen as the “typical small American city.”Professors of education, economics, sociology, art, home economics, journalism, and public health joined with city officials and civic leaders in studying every aspect of the city and its people. 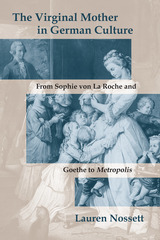 Their findings are published in eleven bulletins, each devoted to an individual topic. The entire survey, entitled The Community Basis for Postwar Planning, was coordinated by Roland S. Vaile, professor of economics and marketing at the University of Minnesota, and made possible by a grant from the Graduate School.The present study, Art in Red Wing, considers the public role of art and architecture in the reconstruction of the postwar Red Wing community; examining a variety of artistic expression including housing style, civic architecture, window displays, public sculpture, and pottery. 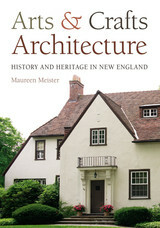 This book offers the first full-scale examination of the architecture associated with the Arts and Crafts movement that spread throughout New England at the turn of the twentieth century. Although interest in the Arts and Crafts movement has grown since the 1970s, the literature on New England has focused on craft production. Meister traces the history of the movement from its origins in mid-nineteenth-century England to its arrival in the United States and describes how Boston architects including H. H. Richardson embraced its tenets in the 1870s and 1880s. She then turns to the next generation of designers, examining buildings by twelve of the region’s most prominent architects, eleven men and a woman, who assumed leadership roles in the Society of Arts and Crafts, founded in Boston in 1897. Among them are Ralph Adams Cram, Lois Lilley Howe, Charles Maginnis, and H. Langford Warren. They promoted designs based on historical precedent and the region’s heritage while encouraging well-executed ornament. 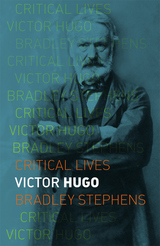 Meister also discusses revered cultural personalities who influenced the architects, notably Ralph Waldo Emerson and art historian Charles Eliot Norton, as well as contemporaries who shared their concerns, such as Louis Brandeis. Conservative though the architects were in the styles they favored, they also were forward-looking, blending Arts and Crafts values with Progressive Era idealism. Open to new materials and building types, they made lasting contributions, with many of their designs now landmarks honored in cities and towns across New England.